Winnipeg lies at the geographic centre of Canada and North America. 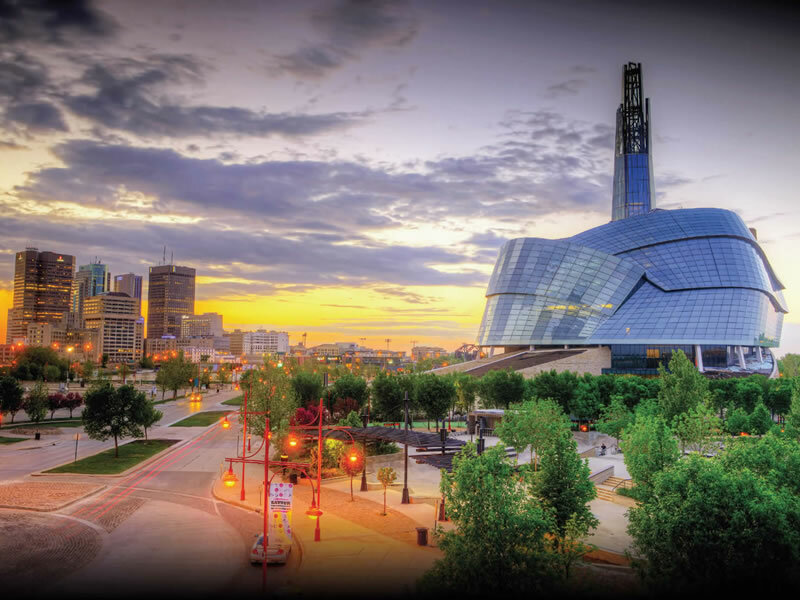 Winnipeg is the capital city of Manitoba, a resource-rich province of 1.3 million people bordered by Ontario to the east, Saskatchewan to the west, and North Dakota and Minnesota to the south. The city is just 100 km (62 miles) from the United States border. Winnipeg is easily accessible from the east and west via the Trans Canada Highway. Winnipeg is a culturally diverse city with more than 100 languages and nationalities represented throughout the region. Winnipeg is known for its unique winter experiences, flourishing arts scene, colourful festivals, and character neighbourhoods, as well as its green spaces and access to outdoor activities. The city features more than 1,100 restaurants as well as numerous world-class attractions, museums, theatres, sports venues and night clubs. Winnipeg derives its name from the Cree word of “win” for muddy and “nippee” for water. An aboriginal trading centre prior to the arrival of the Europeans, Winnipeg was at the heart of the country’s fur trade and instrumental in developing Canada’s gateway to the west. The first permanent settlement occurred in 1812 when a group of Scottish crofters arrived and it became a trading post for the Hudson’s Bay Company in 1870. Winnipeg was incorporated as a city in 1873 with a population of 1,869. The city saw a 30-year period of growth and prosperity with the arrival of the Canadian Pacific Railway in 1885. Winnipeg became a financial centre in Western Canada thanks to a flood of immigrants, high wheat prices and improved farming techniques. Winnipeg offers 7,350 hotel rooms throughout the city, with 2,150 of them located in downtown. Lodging options include everything from well-known chains to stylish boutique properties to historic hotels and quaint bed and breakfasts, plus low-cost options like hostels and universities. Winnipeg’s top-notch food scene tantalizes every taste bud. Sample exotic dishes at authentic mom-and-pop restaurants, bite into innovative tapas at trendy bistros and dine with gourmands at hot spots manned by the city’s top chefs. For weekly food news, chef profiles and restaurant guides, visit our Peg City Grub blog and search for eateries by category in our dining section here. Known as the “cultural cradle of Canada”, Winnipeg is home to Canada’s Royal Winnipeg Ballet, Royal Manitoba Theatre Centre, Winnipeg Symphony Orchestra and so much more. 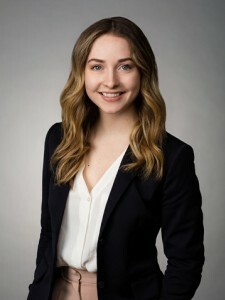 Newer attractions include the world-class Canadian Museum for Human Rights, which is Canada’s first national museum built outside the capital region, and Journey to Churchill at Assiniboine Park Zoo, which is the world’s most comprehensive Arctic species exhibit. Festivals abound in Manitoba’s capital with a year-round slate of activity including Festival du Voyageur, Folklorama and the Winnipeg Folk Festival. Here, theatre season is alight with talent, excitement and star power. Winnipeg also offers an impressive and inspiring arts scene, from the world’s largest collection of contemporary Inuit Art, to modern canvases covered in spray paint to locally-made handicrafts. Winter activities include the world’s only pop-up restaurant on a frozen river, and one of the world’s longest naturally frozen skating trails with vibrant warming hut installations designed by architects from around the world. Check out our Top 10 Must-Sees. Winnipeg is in the Central time zone. This year daylight savings time starts at 3am on March 11, 2018 and ends at 2am on November 4, 2018. The total population for the Census of Winnipeg's Metropolitan Area (2015) is 793,400. Winnipeg James Armstrong Richardson International Airport is Winnipeg’s only airport serving more than 3.8 million passengers per year. Airlines operating out of the airport include Air Canada, Air Transat, Air West, Aviation Bearskin Airlines, Calm Air, First Air, Sunwing Airlines, United Airlines, and WestJet Airlines. Winnipeg experiences one of the highest amounts of sunshine per year at 2,372 hours and boasts 2,727 hours of clear skies on average per year—the most of all Canadian cities. For more fun facts about Winnipeg, check out Factoids.